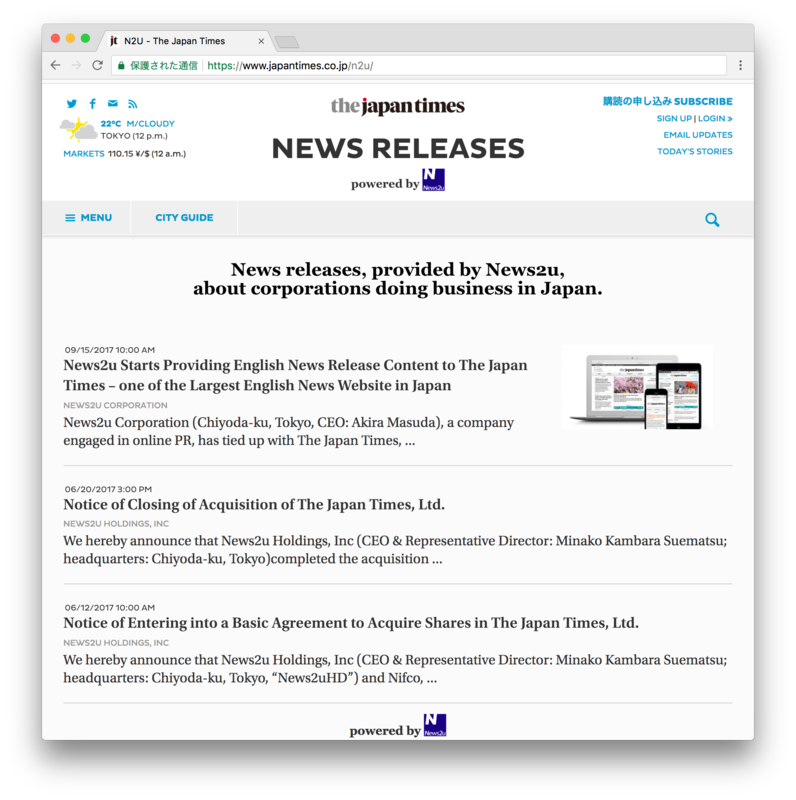 Tokyo, September 15, 2017 – The Japan Times has, through its tie-up with the internet PR company News2U Corporation, started a news release service in English on its website. 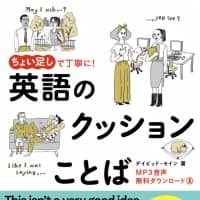 This is positioned as a useful new information release service for our core readership of non-Japanese living both in and outside of Japan who have a strong interest in Japan, as well as for Japanese business people with an English proficiency. “News2u Release” is an online PR service that delivers corporate / organization news releases and press releases directly to various stakeholders. 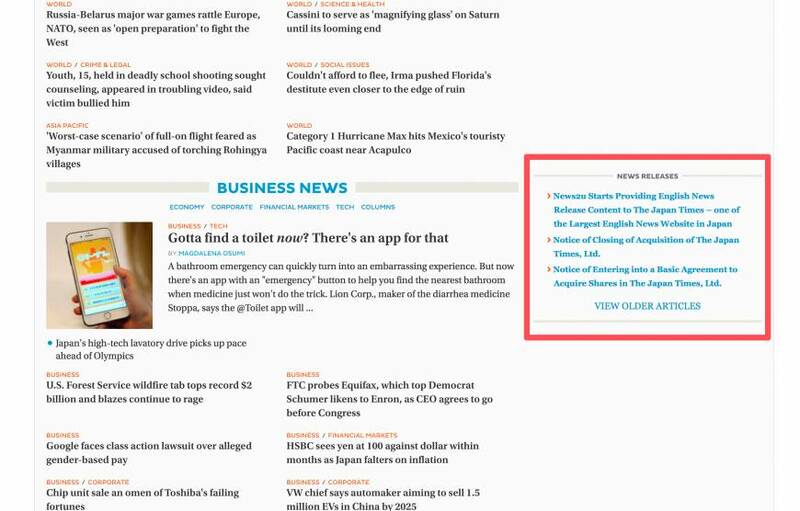 News2u posts news releases and press releases in bulk on a large number of major and specialized media sites that have partnered with News2u, and also delivers them to media reporters. New2u provides full support even for companies and organizations who are making their first press release, offering assistance at every step from writing the press release to distribution. New2u supports continuous dissemination of company information. Established in 2001, News2u (Chiyoda-ku, Tokyo. 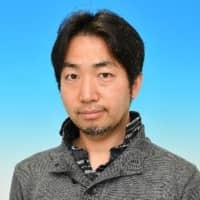 CEO: Akira Masuda) is a leading online PR company which supports companies in the Internet age with information dissemination and distribution. In addition to operating Japan’s first news release portal site “News2u.net,” News2u also offers services such as the news release / press release distribution service “News2u Release,” related to news release delivery, and a service for creating electronic in-house newsletters. Through its affiliated company Pensees Inc., News2u also conducts content planning, website construction and consulting related to online PR. 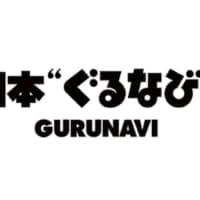 ■ About The Japan Times, Ltd.
As the oldest English language newspaper company in Japan, The Japan Times, Ltd. (Minato-ku, Tokyo. 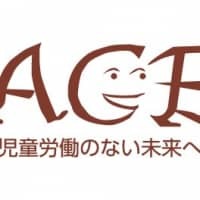 President & Representative Director: Takeharu Tsutsumi) has been providing, since its establishment in 1897, English news from Japan and around the world both in Japan and overseas. 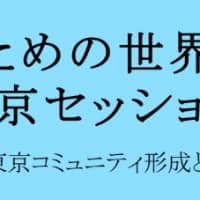 In order to fulfill its role as “a window that opens Japan to the world,” the Japan Times reports on the present situation of Japan and world trends through politics, economics, culture, society, and sports articles. 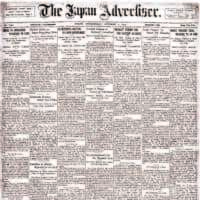 The English news website “The Japan Times” is used by people in more than 200 countries and has a diverse and unique content as one of the largest English news websites in Japan.